Every time summer rolls around I put on my planning hat. Between my husband’s birthday and Father’s Day, we have a very busy June. 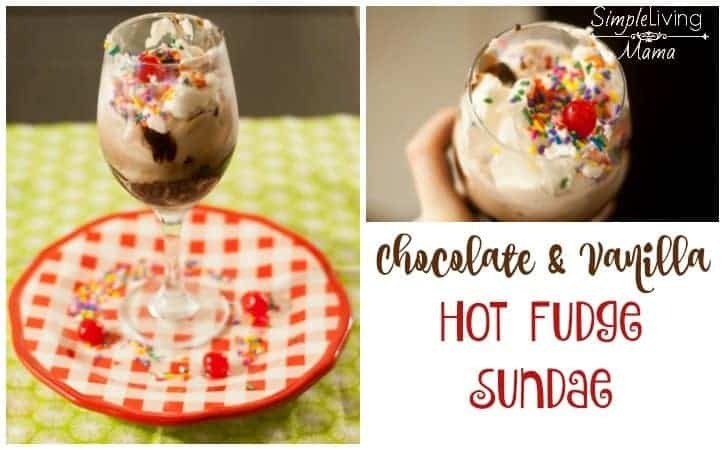 This year I decided to make him a delicious chocolate and vanilla hot fudge sundae. I just had to make my own hot fudge sauce recipe. It was a surprisingly easy simple living recipe, and it definitely did not disappoint! First, we are going to make the hot fudge sauce. 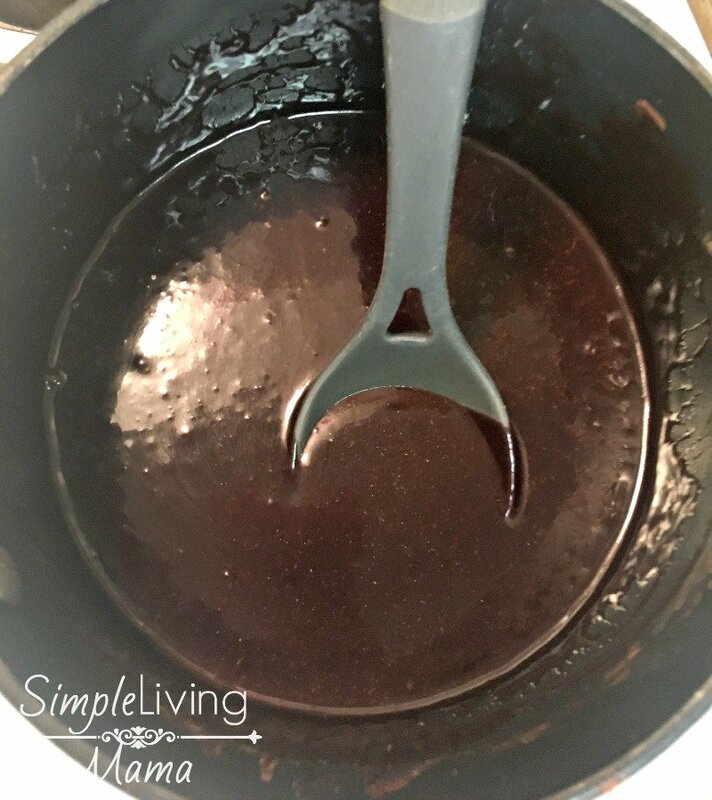 You can create your own hot fudge sauce at home! It’s sooo delicious. 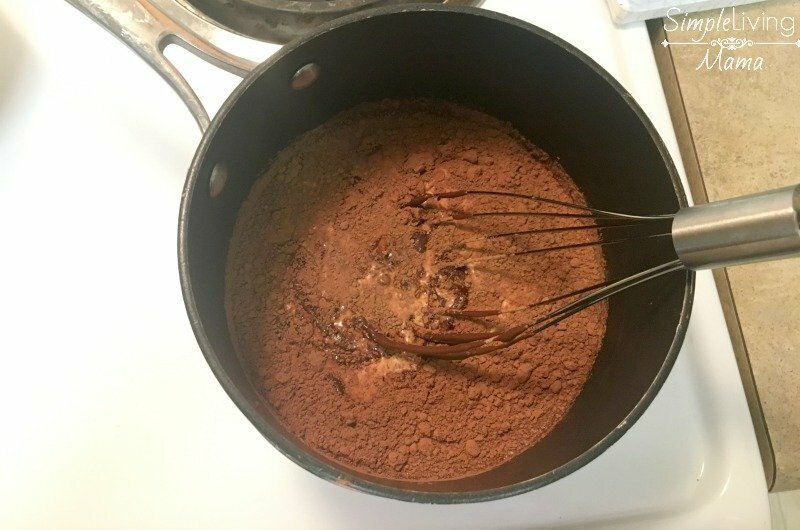 Bring cream, corn syrup, sugar, cocoa, salt, and half of the almond bark to a boil on the stove over medium heat, stirring, until all of the chocolate is melted. Reduce heat and bring to a boil for 5 minutes. 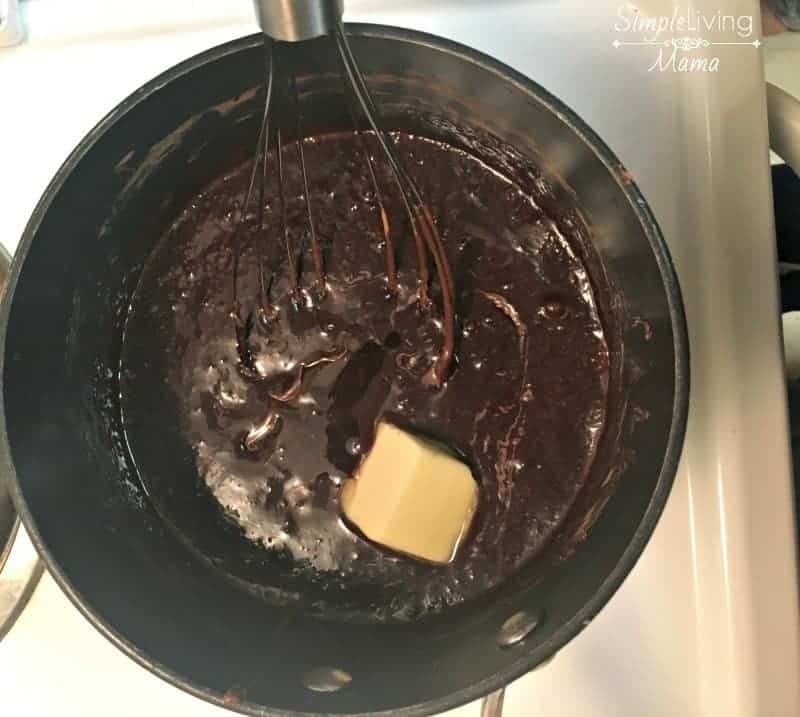 Remove from heat and add butter, vanilla, and the rest of the chocolate and stir until smooth. Here is the finished hot fudge sauce. 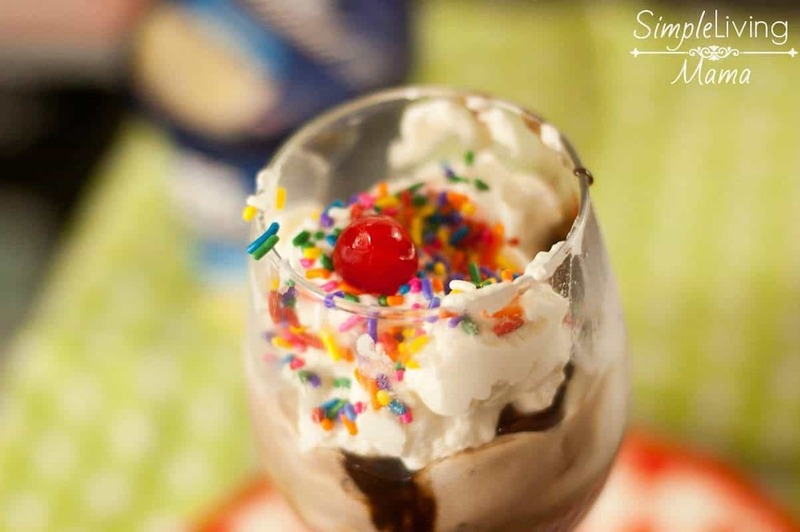 Next, you’ll want to begin making your sundae! 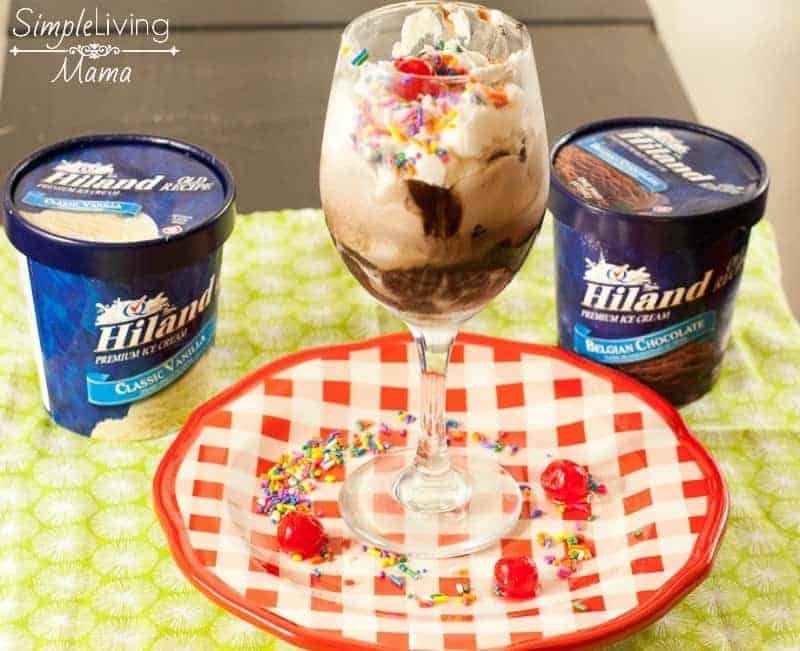 I’m using Hiland ice cream, which is so creamy and delicious! Hiland ice cream uses only the best quality and local ingredients. 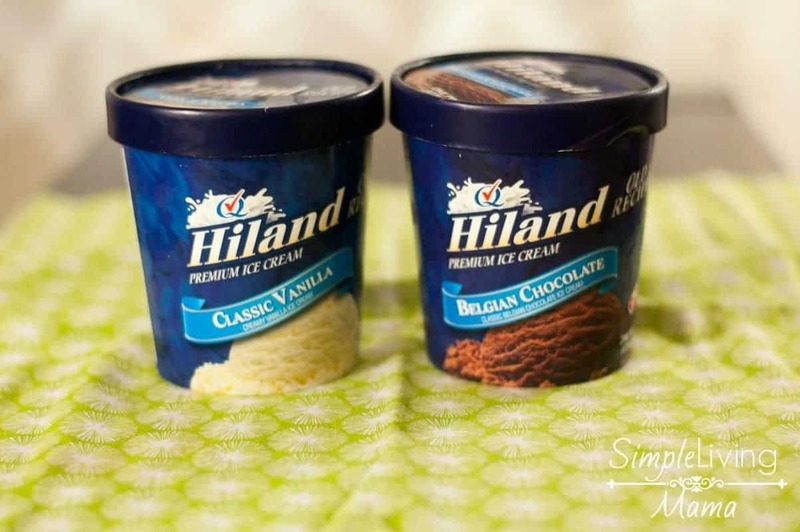 We use all of Hiland Dairy’s products in our home! 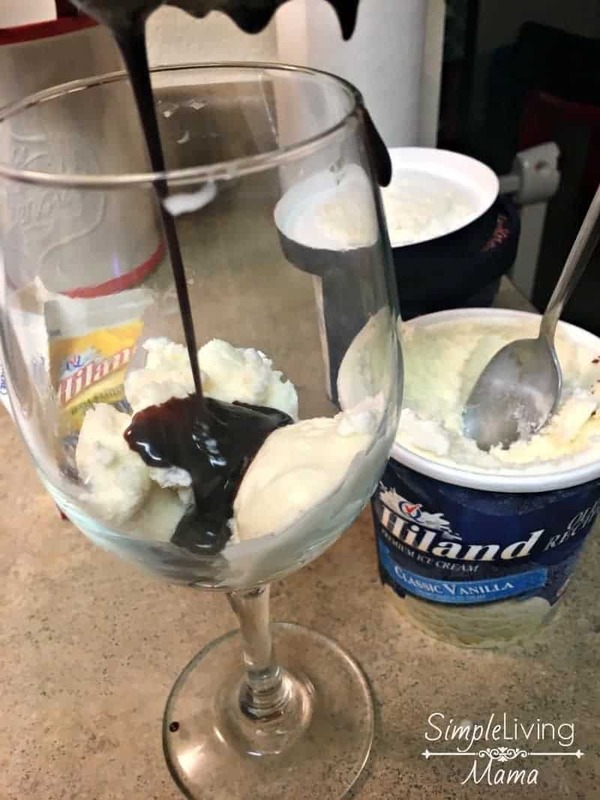 Layer in vanilla ice cream, and top with hot fudge. Add a layer of chocolate and more hot fudge, and finally another layer of vanilla, with more hot fudge! Top with whipped cream, sprinkles, and a cherry! You know, the best way to enjoy a delicious hot fudge sundae is with your family! 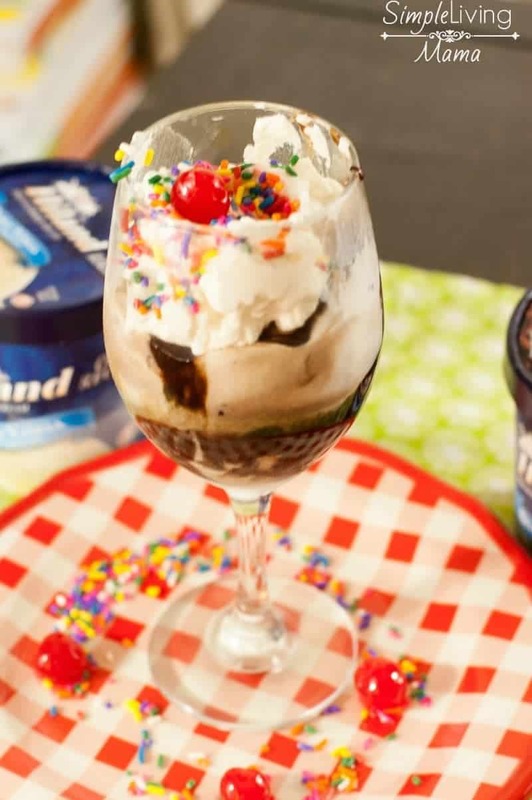 My husband’s birthday was just a few days ago, and I loved making these sundaes for him and our kids. Summer just isn’t summer without ice cream, and a birthday isn’t a birthday without it, either. My family and I just got back from a trip to Nashville, TN. Road trips are so fun to take with the kids. We get to discover new places together. We visited the Nashville Zoo and the Country Music Hall of Fame. The kids had a blast! Would you like to win a family vacation of your own? Go here to enter to win a family vacation! 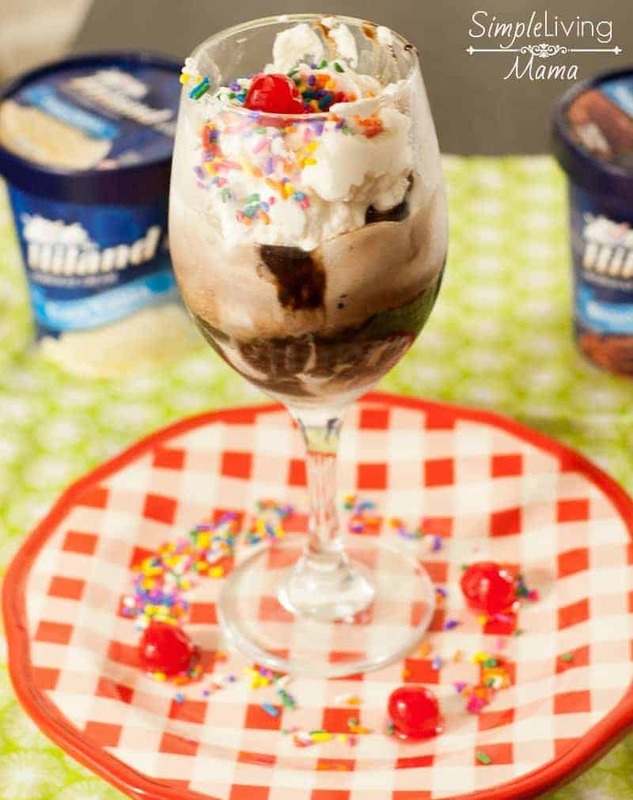 Don’t forget to enjoy a delicious sundae made with Hiland ice cream this summer!